Gregory Chisholm is a married man of eighty-three years of age who was born in Glace Bay Nova Scotia on 8 September 1935. He currently resides in Chemainus British Columbia with his wife Pearl. 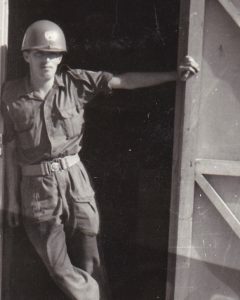 Greg joined the Canadian Army Service Corp on March 12 1954 at Ottawa – Ontario. He soon found himself serving as part of the Mobile Strike Force at Rivers Manitoba CJATC and had two tours of Duty with the United Nation’s Emergency Force in Egypt. He spent two years in the Service Corp and lastly two years in the Ordinance Corp.
During this time he served at CFB Winnipeg, Vancouver, Edmonton and Petawawa. Greg was honourably discharged on May 15 1956 in Ottawa Ontario where he signed up some twelve years prior. Greg received his Canadian Parachute Wings in August 1954. He received the United Nation’s Medal for Egypt in June 1959. Numeral Two for a second tour of duty with the United Nations in March 1964, Canadian Peacekeeping Service Medal in 2001 and Canadian Decoration in December 2007. This veteran joined the Supplementary Reserves and was commissioned as a 2nd Lieutenant in 1973 and later promoted to full Lieutenant. Greg’s service did not end with his discharge from the Army as he has been a very active member in good standing of the Royal Canadian Legion for the past 37 years. He first joined Branch #48 in Vancouver and later rejoined Ogden Branch #154 Calgary. 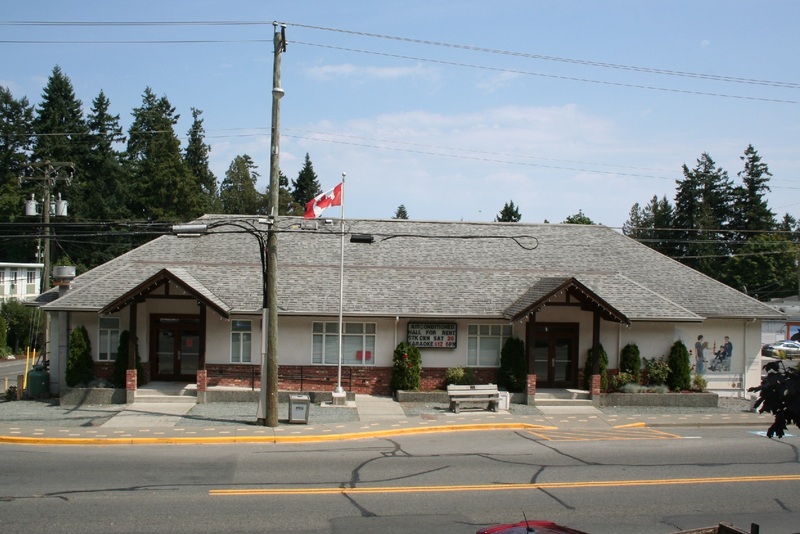 He has been a member of Chemainus Branch 191 for approximately 17 years since 2001. After discharge Greg was employed at Kenworth Vancouver in the Heavy Duty Trucks parts department and continued that line of work for 35 years although not solely for Kenworth. 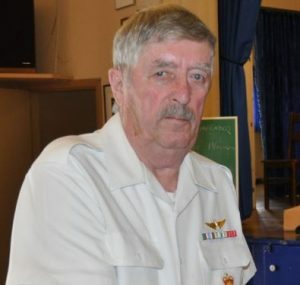 He has made an outstanding contribution to Veterans and Legion Members having served on the Executive Board for nine years, three of which he has been a director at large, one year as 1st Vice President and five years as President. Greg also served on or chaired committees such as Honours and Awards, Finance, Ways and Means, Youth and Sports and Bursary. Greg has been a Branch Delegates to South Mid Island Zone for many years and attended the Annual Legion Convention in 2012 on behalf of Branch 191.His Legion Awards are Past President Medal with Bar, Past Officer Medal with 1st Vice President Bar, Certificate of Merit and the Wolfram Medal Czechoslovak Legionnaire Community from the Czechoslovakian Republic in 2009. Greg assists in conducting the bi weekly bingo for residents at the Chemainus Health care Centre (an extended care facility) and he and his wife Pearl organized the Annual Halloween party for the local community children for many years and he was instrumental in organizing the Highland Games in Chemainus in 2004 to name just a few of his contributions to this community. It has been an honour to document some of Greg’s service contributions of his to his country as a Veteran, Soldier, Legionnaire and Community minded person who has demonstrated that he is willing to put others before himself and in doing so shall be remembered among the chosen few.